Last week, NewDEAL Leaders and local community leaders came together in Louisville for the first stop on a national Innovation Tour to showcase innovative programs and partnerships that can be replicated across the country to drive prosperity for more people in the new economy. NewDEAL Leader Louisville Mayor Greg Fischer, recognized by a 2016 poll of his peers as the most innovative mayor in America, welcomed fellow NewDEAL leaders from Nebraska, Ohio, and Pennsylvania, as well as private and public-sector leaders, at an opening reception at the beautiful Speed Art Museum, where he introduced the theme of how to create a culture of innovation in a community. NewDEAL Leaders Lincoln, NE Councilmember Leirion Gaylor Baird, Montgomery County, OH Commissioner Dan Foley, and Pittsburgh Councilmember Dan Gilman talked about their work back home, as well as the value of the NewDEAL network in their efforts to identify best practices to make the new economy work better for everyone. 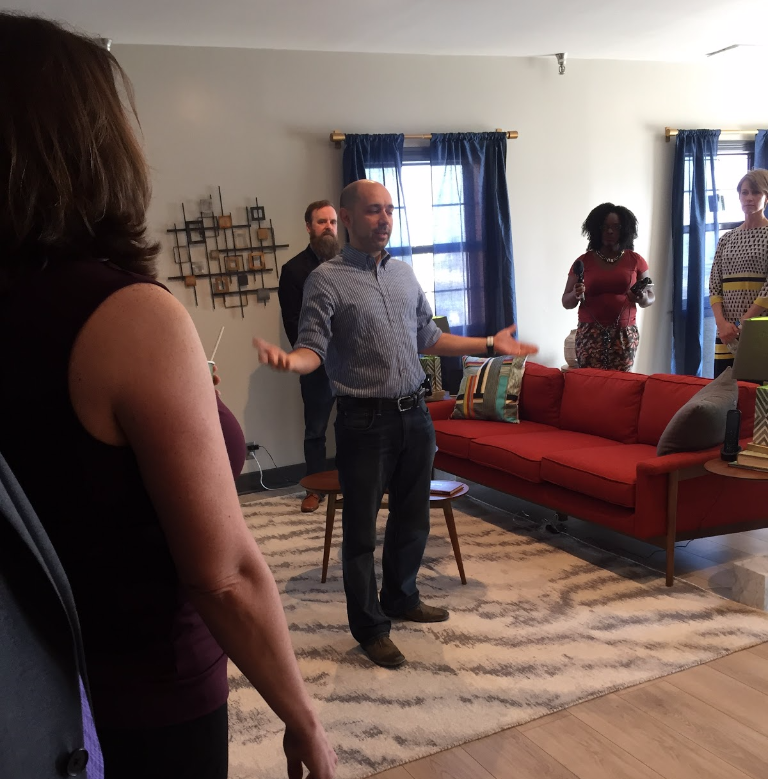 Their messages laid the foundation for a series of stops at some of Louisville’s most innovative efforts, beginning at LouieLab, a civic innovation hub for public-private collaboration, which exemplifies the Mayor’s mantra that government must be intentional about infusing their communities with opportunities for innovation. Showcased at LouieLab and the CNET Urban Smart Apartment, a space co-located with LouieLab, were a solar smoke detector that had been designed during a recent Civic Hackathon to more quickly alert first responders to fires at abandoned buildings to limit damage to surrounding properties, and a mobile app developed in partnership with the American Printing House for the Blind that uses open source map data to help visibly impaired people navigate inside buildings. 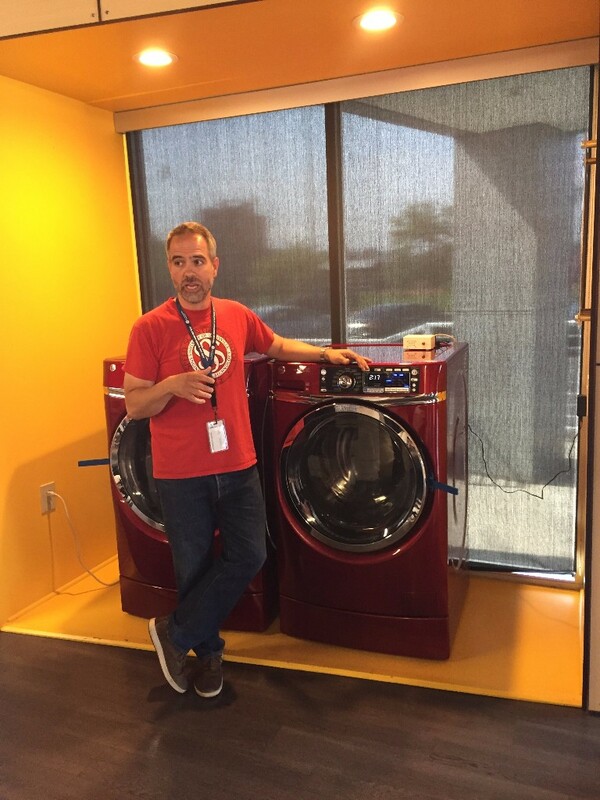 The next stop was at FirstBuild, a collaborative project for designing home appliances among local employer GE Appliances, the University of Louisville and Local Motors, a Phoenix-based open-source hardware innovator, where GE crowdsources product ideas. 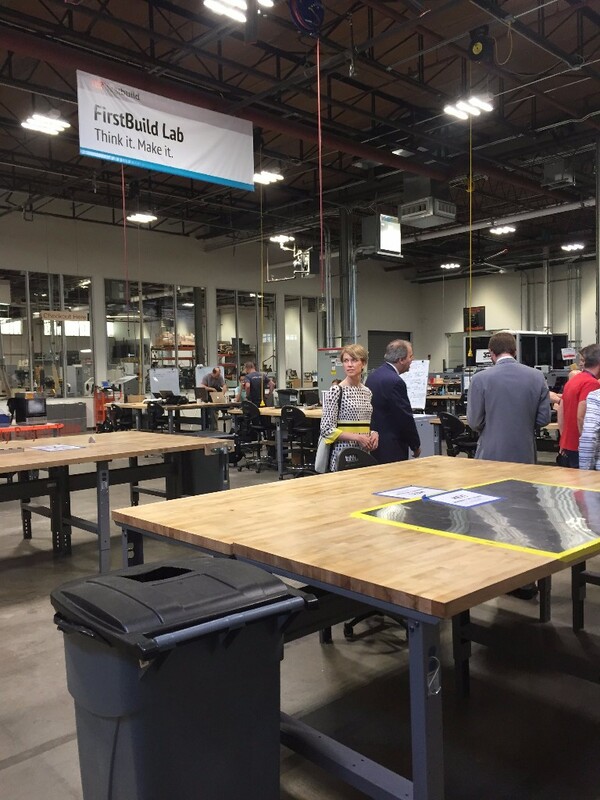 A tour and discussion emphasized identifying ways to support local entrepreneurs to help drive innovation and job creation. The Louisville visit concluded at UPS, the city’s largest employer, where attendees discussed innovative efforts by the company, particularly around workforce training. Through Metro College, a partnership between UPS, the University of Louisville and Jefferson Community and Technical College, students receive full-time undergraduate tuition as well as book reimbursement money, bonuses and other benefits, with the only requirement that they work for UPS during the time they are in the program, often sorting packages at hours that are harder to fill with other workers.